Aldar Properties said it has found buyers for the first two towers of The Bridges development, which the company started marketing at Cityscape Abu Dhabi last month. It said it had received initial payments for all 424 off-plan apartments at the proposed mid-market development on Reem Island, with queues of buyers lining up to buy apartments worth a total of Dh400 million. Abu Dhabi’s largest listed property developer had initially started marketing about 200 flats in the first of the six- tower Dh1.3 billion project at Cityscape Abu Dhabi on April 18. However, the developer said that demand for the apartments, which are being marketed at prices starting from Dh450,000, was so high that it released a second tower for sale during the event. 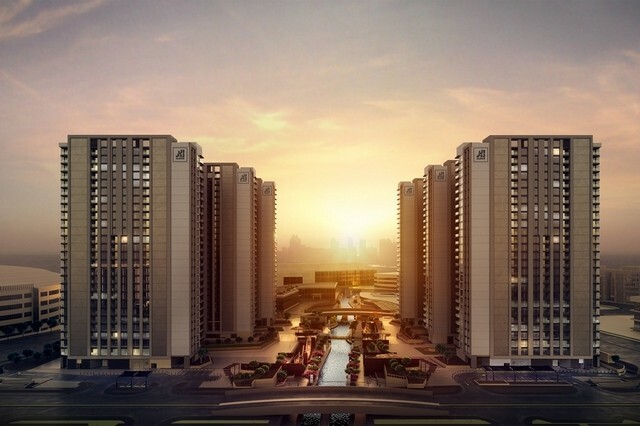 Aldar said it would now commence sales on a third tower in the project located close to Repton School Abu Dhabi in the Shams district, on Saturday. The developer plans to retain the other three towers as part of its leasing portfolio. In February Aldar forecast it would make about Dh3bn worth of property sales in 2017, down from Dh3.5bn in 2016 as the company focuses on building smaller, cheaper apartments to cater to demand. “Before the show opened on Tuesday we had buyers queuing up round three sides of our stand in order to not miss out on the opportunity,” said Talal Al Dhiyebi, Aldar’s chief development officer. The off-plan sales come despite price declines in the capital’s secondary market as two years of low oil prices force government-related companies to lay off staff and cut housing allowances. Last month Asteco reported that apartment sales prices for completed properties fell by an average of 2 per cent in the first three months of the year and 4 per cent compared with a year earlier. Property brokers say investors are still buying off-plan property in Abu Dhabi because they can purchase smaller, cheaper apartments than ones which are currently available on the secondary market amid expectations of a market uptick by 2020. “There’s not a lot on the market available at the moment in terms of things that are priced to sell because not a lot of people want to sell,” said Ben Crompton, a managing partner at Crompton Partners Estate Agents. “People are hoping that the market will come back. Off-plan is not a bet on the market as it is now, it’s a bet on what the market will be in three years’ time.